Pat Rozeske is passionate about her work at a fundraising company. But when the busy fall season rolled around several years ago, she found it hard to keep up. "I was tired all the time," she says. "I lost my appetite. I was having trouble sleeping." Pat couldn't get comfortable at night because it was hard for her to breathe. A resident of Eau Claire, Wisconsin, Pat went to Mayo Clinic Health System in Eau Claire for an assessment of her breathing trouble, along with what she thought could be the flu. Tests revealed a very different problem. Pat's care team discovered she had an irregular heartbeat, called atrial fibrillation, and a leaking mitral valve that was contributing to heart failure. Pat didn't have any typical signs of heart failure, such as chest pain, pain in other parts of the body, headaches, heart palpitations or dizziness, so the diagnosis came as a shock. "That was a difficult time for my family," Pat says. "They were worried about me, but we trusted my Mayo Clinic Health System team." Pat met with Andrew Calvin, M.D., a Mayo Clinic Health System cardiologist, to discuss the condition of her mitral valve. Pat's care team also talked with her about doing a procedure called cardioversion to treat the atrial fibrillation. When that procedure — which uses electric shocks to restore regular heart rhythm — was not able to correct Pat's irregular heartbeat, it was decided surgery would be necessary. Cardiovascular surgeon Robert Wiechmann, M.D., talked with Pat about an option for minimally invasive heart surgery that could repair her valve, as well as a procedure known as maze surgery to get her heartbeat back to normal. "While Dr. Wiechmann talked to me, he also gave me very helpful informational pamphlets for all the procedures that would or could be performed, and how to care for myself after surgery," Pat says. "This gave me what I needed to prepare and feel good about understanding what I was faced with." "Being able to avoid opening up the sternum with advances in surgical instruments and skill allows us to offer a safe, less-invasive operation and faster recovery for our patients." The procedure to repair Pat's mitral valve wouldn't require a large incision or the need to cut her sternum, which would have involved extended recovery time. The procedure only required a puncture near the sternum to access her heart. "Being able to avoid opening up the sternum with advances in surgical instruments and skill allows us to offer a safe, less-invasive operation and faster recovery for our patients," Dr. Wiechmann says. After successful surgery, Pat underwent a 12-week cardiac rehabilitation program. She worked with an exercise physiologist three times a week, exercising on a treadmill or stationary bike while a nurse monitored her heart rate and blood pressure. Gloria Krueger, a physician assistant in Cardiac Surgery at Mayo Clinic Health System in Eau Claire, says the rehabilitation program is not the end of the process. One of the goals is to build healthy habits for the future. "Once patients complete the program, we want them to be comfortable enough to continue the program at home," Krueger says. "Phase one of rehab happens in the hospital after surgery. Phase two lasts for 12 weeks. But phase three continues for the rest of your life." "I am very thankful for my Mayo Clinic team and my family that helped me toward the road to recovery. I plan to continue in that direction." Pat has four children and multiple grandchildren. She says they gave her the motivation to have the surgery and work toward a full recovery. She has noticed an increase in her level of energy, especially as she has carried on with her rehabilitation at home. 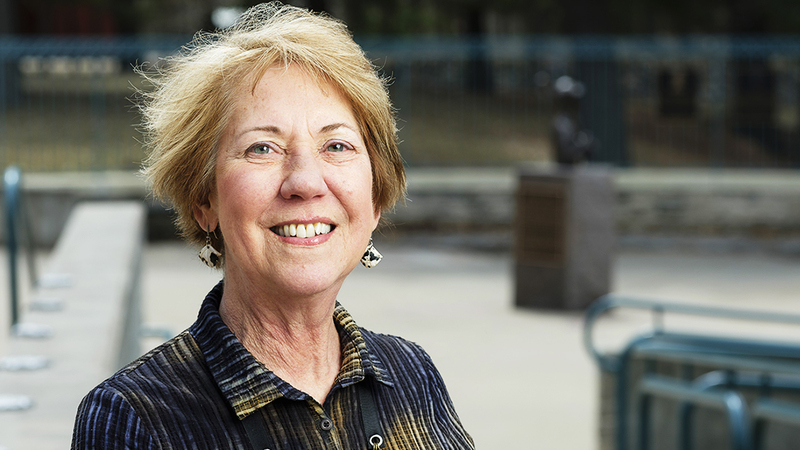 "I am very thankful for my Mayo Clinic team and my family that helped me toward the road to recovery," Pat says. "I plan to continue in that direction." Learn more about atrial fibrillation and mitral valve prolapse.